Whether you are thinking to convert your unfinished basement into a functional space or want to remodel it into a much more exciting place where everyone would love to spend time, know that there are a lot of things that can go wrong. Basement remodeling or renovation is a complex task that requires paying attention to a variety of factors, which a lot of home owners often overlook. Not checking for water leaks and moisture is one of the most common basement finishing mistakes. Basements are basically concrete halls and/or rooms constructed under the ground. When the ground of a basement gets saturated with water, it can cause an increase in the hydrostatic pressure, which then pushes the water up the foundation walls. As a result, water infiltrates the concrete, or finds its way into the basement through floor, joints between floors and walls, and any cracks or gaps. This, when coupled with the risks posed by leaked or broken pipes and water heaters, increase the chances of moisture and flooding in basements. It wouldn’t be wrong to say that the very structure of basements makes them susceptible to moisture and flooding. Yet, not checking for leaks and moisture is one of the biggest basement finishing mistakes home owners make. No matter how quickly you want to complete the project, you should never skip the step of checking your basement for moisture. 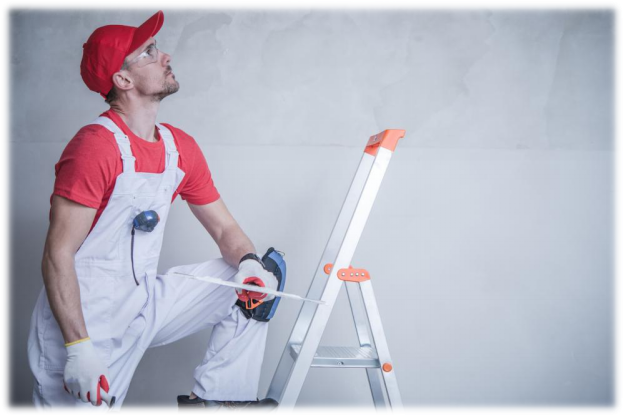 Look for water stains, leaks, cracks and for areas where the paint is falling off. Water damage not only affects the appearance of walls and floor, but can also weaken the foundation of a structure. Water damage or moist floor and walls also provide an ideal breeding ground for mold and bacterial growth. A wet basement also attracts many crawling insects, like roaches, ants, and spiders, and animals, like mice and even snakes. Always check your basement before renovating it and if you notice any signs of moisture or leaks, call a professional, like SALT for basement finishing in Bluffdale, UT, and get it treated before anything else. Depending on the nature of problem, the basement finishing expert will come with a solution. Dial 801-414-8206 to get your Utah house basement inspected and treated for moisture and water leaks by the best service provider in town.